Everything is awesome! Or at least, it will be if this story turns out to be true! 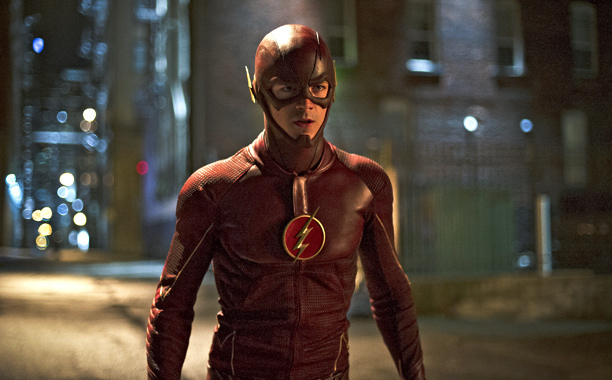 The Flash in the CW’s hit television show. If true, this would be absolutely fantastic. The Flash is such a uniquely charming character that deserves to have a good movie adaptation; Lord and Miller are the perfect people to help him towards that goal. In addition to their work on The Lego Movie, Lord and Miller have also directed recent comedy favorites such as 21 Jump Street and Cloudy With a Chance of Meatballs. If anyone could help bring this character to the big screen, it’s these guys. Would you want to see the two in charge of a Flash movie? Categories: Comics, Movies, News, Sci-Fi, Superheroes, TVTags: 21 Jump Street, Barry Allen, Christopher Miller, Cloudy With a Chance of Meatballs, CW, DC Comics, Ezra Miller, Grant Gustin, Phil Lord, The Flash, The Lego Movie, Warner Bros.